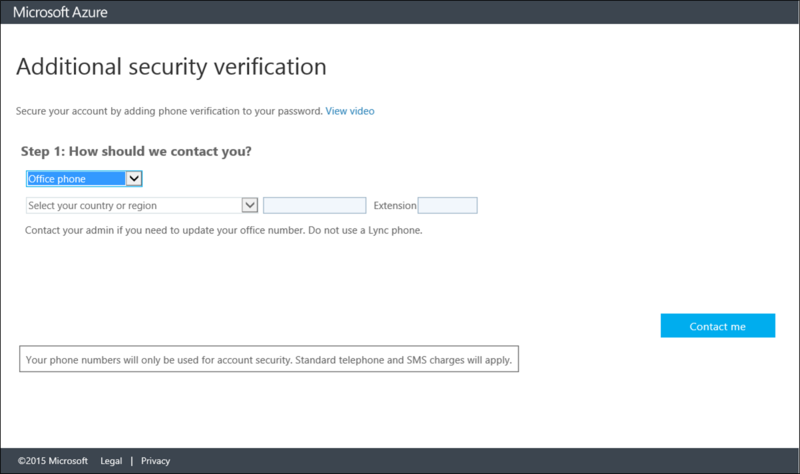 This document provides an overview of how to complete the initial setup of Microsoft Authenticator. 1. Once two-factor authentication has been set up on your account, navigate to office365.siue.edu. 2. Enter your full SIUE email address and click Next to sign in. 3. Enter your e-ID password and click next. 4. You'll see a screen with message asking you to set up additional security verification. Click Set it up now. Phone call places an automated voice call to the phone number you provide. Answer the call and press # to authenticate. Text message sends a text containing a verification code. Enter the verification code provided into the sign-in interface. Recommended This option pushes a notification to the authenticator app on your smartphone or tablet. View the notification and, if it is legitimate, select Authenticate in the app. The Microsoft Authenticator app is available for Android, iOS, and Windows Phone. Places an automated voice call to the phone number you provide. Answer the call and press # in the keypad to authenticate. We do not recommend that you select office phone here as you would need to be near your office phone to receive a call before you were allowed into the system. 1. Select Authentication Phone from the drop-down list. 2. Choose your country from the drop-down list, and enter your mobile phone number. 3. Select the method you would prefer to use with your mobile phone - text or call. 4. Select Next to verify your phone number. 5. Depending on the method you selected in the previous step, you'll receive a text or call. 6. If you received a text, enter the code from the text message in the additional security verification field on the screen. Click Verify. 8. If you are using these apps, copy the app password provided and paste it into your application instead of your regular password. You can use the same app password for multiple apps. Using this method requires that you install an authenticator app on your phone or tablet. The steps in this article are based on the Microsoft Authenticator app, which is available for Windows Phone, Android, and iOS. 1. Select Mobile app from the drop-down list. 2. Select either Receive notifications for verification or Use verification code, then select Next. 3. On your phone or tablet, open the app and select + to add an account. (On Android devices, select the three dots, then Add account. 4. Specify that you want to add a work or school account. The QR code scanner on your phone opens. 5. Scan the QR code picture that appeared with the screen for configuring the mobile app. 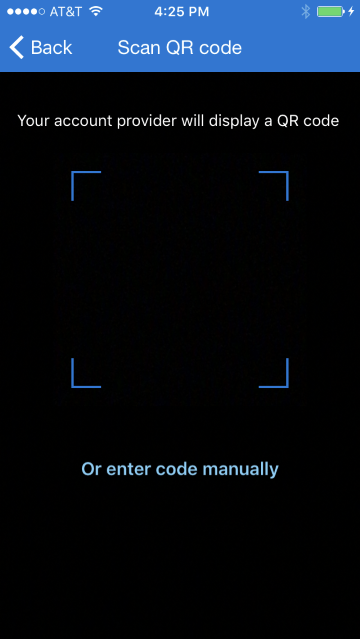 Select Done to close the QR code screen. 6. We recommend that you enter your mobile phone number in case you lose access to your mobile app. Specify your country from the drop-down list, and enter your mobile phone number in the box next to the country name. Select Next. 7. At this point, you are prompted to set up app passwords for non-browser apps such as Outlook 2010 or older, or the native email app on Apple devices. This is because some apps don't support two-step verification. If you do not use these apps, click Done and skip the rest of the steps. 8. If you are using these apps, copy the app password provided and paste it into your application instead of your regular password. You can use the same app password for multiple apps. Click Done. The phone number box is automatically filled with your company contact information. If the number is wrong or missing, ask your admin to make changes. Select Contact me to verify your phone number, and we will call your number. Follow the instructions provided on the screen, then select Verify. At this point, you are prompted to set up app passwords for non-browser apps such as Outlook 2010 or older, or the native email app on Apple devices. This is because some apps don't support two-step verification. If you do not use these apps, click Done and skip the rest of the steps. If you are using these apps, copy the app password provided and paste it into your application instead of your regular password. You can use the same app password for multiple apps. For more info, see What are App Passwords.